Every Muslim who has been fasting for one month in Ramadhan, celebrate this day as a winner day. It means that we have been struggling for keeping our temper, lust and desires and finally we reached the day that we all win for our struggling for this one month. This year, I didn’t have many preparation to welcome this day. But usually families make cookies for guests who come to their houses. 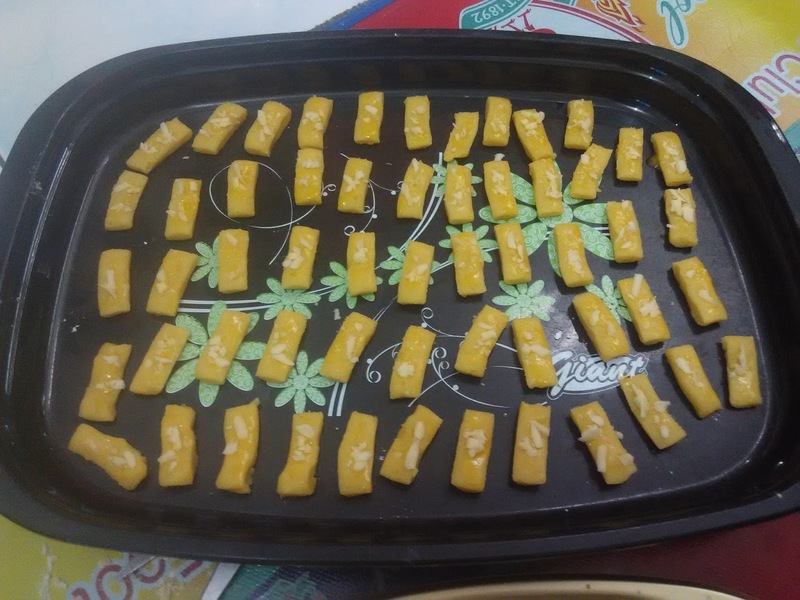 My family decided to make this cheese cookies only. Why only cheese? Because all my family’s members love this cookies. Therefore, my mother who contributed a lot in this making cookies, decided to make only this cookies but with many amounts. 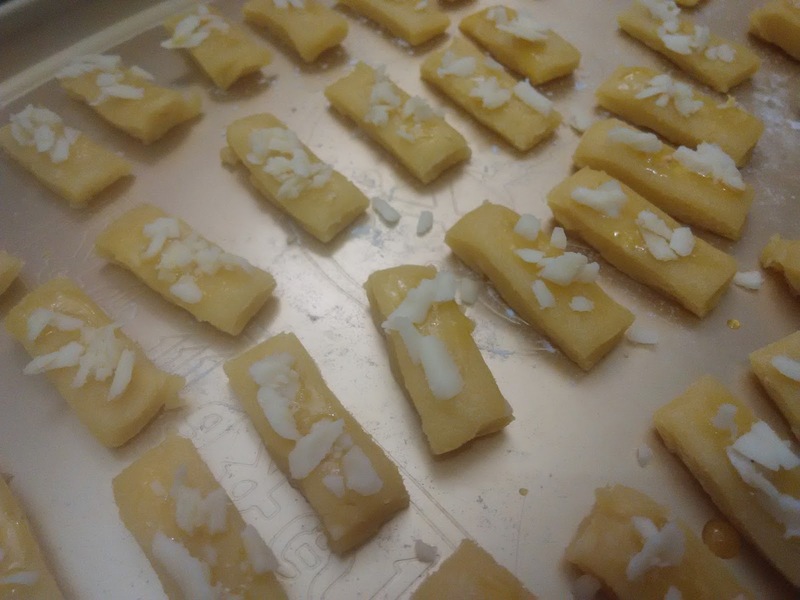 For you who do not know how to make this cookies, I will tell you a simple and short recipe. 1. 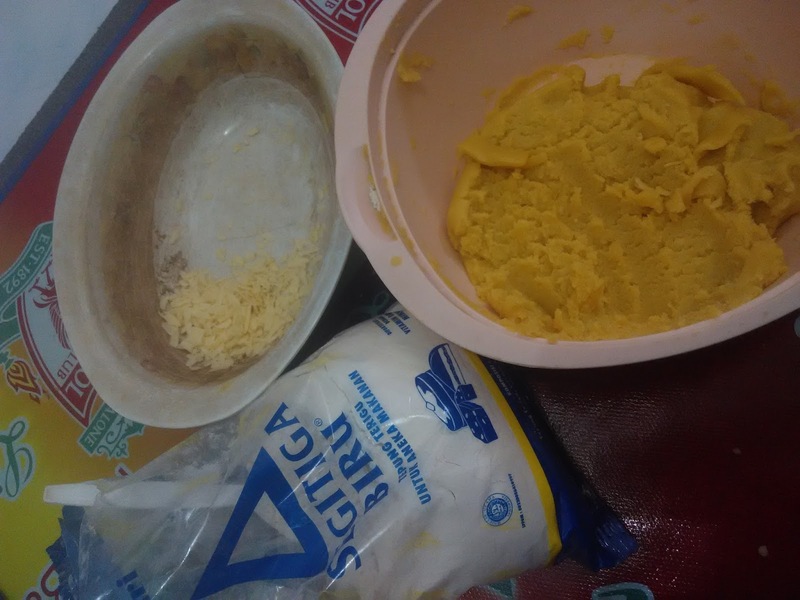 Prepare eggs (put apart the yolk and albumin), flavour, butter, cheese, sugar and salt. 2. We have to make the dough first, therefore we have to mix the yolks, flavour, cheese, sugar and salt. I don’t know the measurement of those material. Sorry. Then after it all mix together, and the texture becomes soft, we can shape the cookies as we like. Because I was too lazy to make a good shape, I used a shaper instead. 4. After that, spread the albumin until it cover the cookies, so we can put gratin on the top of the cookies. 5. Put the cookies into the oven for 15 minutes. 6. After that, you can enjoy yourself eating the cookies. My mother and I made this cookies for 4 containers. Two for the guests, and the rest for family. Therefore, the cookies which have really bad shape are for family, and the cookies with a good shape are for the guests. So, what about you? What cookies do you make for this Eid? I will happy to know that.